The Japanese National Championships were held in Shizuoka on October 1 to 3. One of the highlights of the Championships was Maho Hanaokas national record in the womens triple jump. 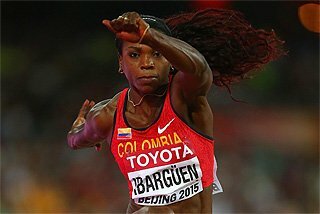 In her fourth jump, she improved her own national record to 13.72m (she set the former record of 13.69m in the district collegiate championships in May of 1998), and then in the fifth round, she further improved it to 14.04m. Interviewed after the competition, she told reporters that during the jumping phase she knew that 14m was on the cards. She won both the national high school championships and the national championships in her senior year in the long jump, and then won three collegiate championships in the same event. Although she failed to win the long jump title in the collegiate championships in her senior year, she set the national record in the triple jump and then won the collegiate championships in the same event. Many of the sprint events were hampered by wind. Although Motoka Arai won both the 100m and the 200m for the second year in a row, the wind prevented her from setting national records. In her first round heat of the 100m, she ran 11.49; in her semi she ran 11.48 threatening to break her own national record (11.45). But in the final she could only manage 11.65 due to a strong head wind (-2.2m/s). In the 200m, strong head wind slowed her down in both heat and semi, but the wind shifted its direction for the final. 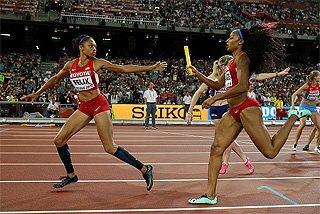 Previously, she was very tentative in the first 100m of the 200m, afraid that she would die on the home straight, but that was not the case on Sunday. 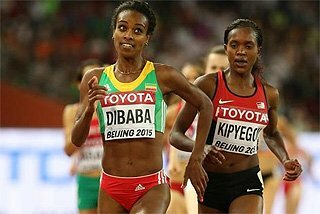 She ran the first 100m aggressively and finished with a time of 23.22, a huge improvement over her own national record of 23.54. Unfortunately the wind, 2.2m/s, was slightly above allowable for record purposes. On the mens side, Koji Ito pulled out of the meet due to an injury he had suffered few days before the championships. In his absence Hiroyasu Tsuchie won the 100m in 10.09, but again it was a wind-aided time. 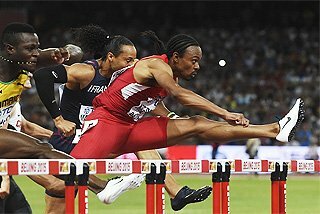 Fans hoped that Kazuhiko Yamazaki would make the final in the 400mH in Sevilla. It was not to be, but in the national championships he showed that he was still the best Japanese in the event. In the final, which was hampered by the head wind in the home straight, four runners still broke 50 seconds, led by Kazuhiko Yamazaki in 48.65. He was followed by Dai Tamesue who is finally fulfilling a potential he showed in 1996 while finishing fourth in the World Junior Championships 400m. Turning into the middle distance event, Kiyoharu Sato who was second to Phillimon Hanneck last year in the national championships (hence the first Japanese), became the first high school student in more than fifty years to win the 1500m. Not feeling 100%, he ran most of the race in second or third place, not concerned with the time. 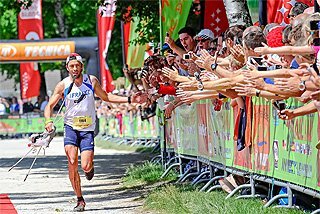 When he unleashed his kick, which carried him from 1300m to 1400m in 13 seconds, nobody was able to keep up with him. 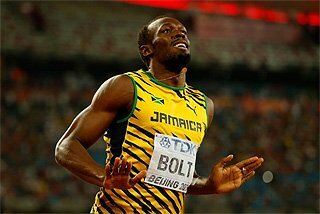 After the race, he repeatedly told reporters that he wants to be a world class runner. 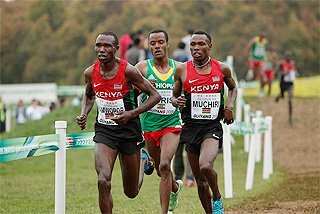 As expected, the 5000m was an all Kenyan affair as Julius Gitahi, who won the All African Games last month, lead most of the way and won from another Kenyan Simon Maina Munyi. One of the young rising stars, Daichi Sawano, a college freshman who holds a national high school record of 5.40m won the pole vault with 5.40m. In the process he relegated a former national record holder Fumiaki Kobayashi to second place, while the current national record holder Manabu Yokoyama no-heighted. As expected, Koji Murofushi won the mens hammer throw for the fifth year running with 75.64m; it is a tribute to his consistency as all his legal throws were over 75m. 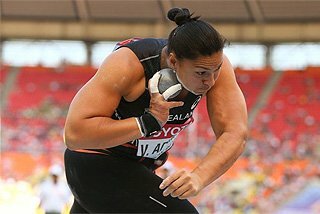 But this was not the only win for the Murofushi family, as his sister Yuka Murofushi won the womens discus throw with 50.57m. She was also third in the womens hammer, an event she took up recently, for she believes that she has better chance with the hammer throw than the discus. Miki Imai and a flying bambi,Yoko Ohta have been dominating the womens high jump in recent years. 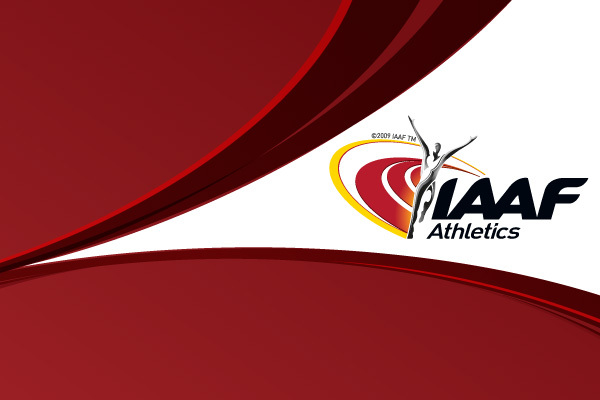 Ohta won most of the meet in the Spring track season, but recently Imai has been the more successful of the two, including winning the national championships. 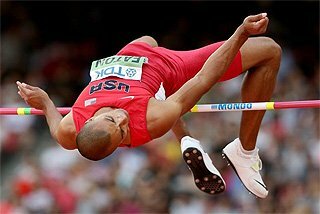 They are on a mission to put high jump on the map in this marathon-crazed country where most of the field event athletes compete in obscurity. Yoshio Koides new protegee, Rie Ueno, who won the gold medal in the 5000m at the World University Games in Spain, was the winner of the 1500m. She was also second in the 5000m, while Yoshiko Ichikawa who is a training partner of Ari Ichihashi, a World Championships silver medallist, won the event. In the womens 10,000m, Harumi Hiroyama who was fourth in Sevilla announced before the race, that she was in awesome shape and would attempt to break the national record. The race started fast, but because of the head wind down the back straight, it soon slowed down and became a tactical race. Hiroyama won with her blazing kick, which was launched with 300m to go, despite the head wind down the back straight. Finishing second to Hiroyama as she did in 1997 was Yuko Kawakami. Like Hiroyama, Kawakami, an Asian 10,000m champion from 1998, also ran the 10,000m in Sevilla, but unlike Hiroyama, her result was not as good as expected (12th). 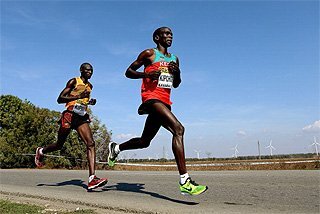 While the National Championships was in progress in Shizuoka, halfway around the world in Palermo, Mizuki Noguchi finished second to Tegla Loroupe in the World Half Marathon Championships. 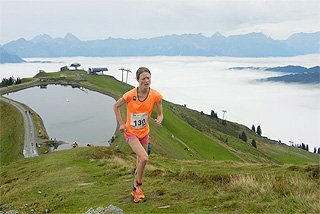 This was the third half marathon in a row that she finished second. After winning her debut in the Inuyama half marathon in February (1:10:16), she finished second to Fatuma Roba in Matsue (1:11:56), second to Lydia Simon in Sapporo (1:10:01) and now second to Loroupe last Sunday, thus maintaining an undefeated record against the Japanese in a half marathon. 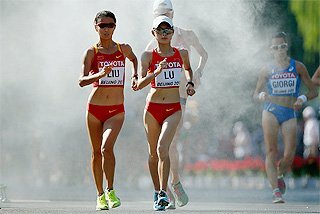 She is a tiny runner (150cm tall) even by Japanese standards; she is coached by Nobuyuki Fujita who formerly coached Izumi Maki. When Ari Ichihashi won a silver medal in the World Championships in August, she made the front pages of the newspapers in Japan; yet Mizuki Noguchi was virtually ignored by the Japanese media after her silver medal performance in the World Half Marathon Championships. Women: 100m Motoka Arai 11.65 (-2.2m/s); 200m Motoka Arai 23.22 (2.2m/s); 400m Kazue Kakinuma 53.49; 800m Miki Nishimura 2:09.33; 1500m Rie Ueno 4:21.09; 5000m Yoshiko Ichikawa 15:31.93; 10000m 32:08.00; 100mH Yvonne Kanazawa 13.51 (-2.4m/s); 400m Yasuko Igari 57.82; HJ Miki Imai 1.85m; PV Masumi Ono 4.00m; LJ Kanako Sue 6.43m (0.8m/s); TJ Maho Hanaoka 14.04m (1.1m/s) NR; SP Yoko Toyonaga 16.02m; DT Yuka Murofushi 50.57m; HT Aya Suzuki 59.09; JT Yayoi Shibano 57.07m; Hep Keiko Kikugawa 5573 collegiate record.